The concept of this project was to take an existing music artist and rebrand an album using a concept that the artist hasn't used before. I chose Corey Smith, a lesser known country music singer who's all about the party anthem and the good times, but has a softer side too. I chose to highlight two of his most popular songs on each side of the record, giving the listener insight into both sides of Corey's music. The imagery is made up of lyrics from his songs and form images that are commonly talked about in his songs. 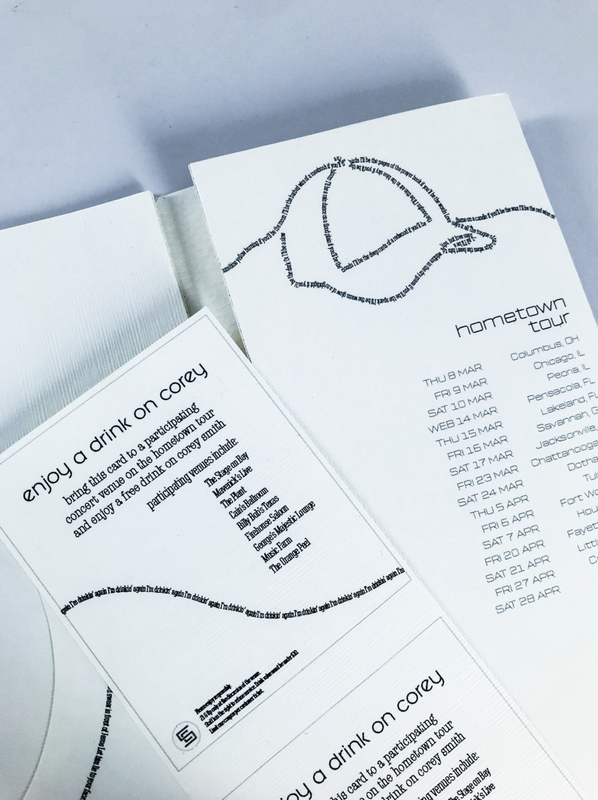 A drink voucher, tour schedule, charity information, and a lyrics brochure were all included in the album mockup.